The Bible clearly shows us that the “church” is not a structure or building but rather a body of believers. Hebrews 10:25 says, “Let us not give up meeting together, as some are in the habit of doing, but let us encourage one another.” This Bible verse emphasizes the fact that followers of Jesus must regularly meet together. The local church  is typically where this type of meeting will occur. So the church (body of believers) is very important to the life of a Christian. So choosing a church is one of the most important decisions that one can make in his/her life…maybe only second behind choosing a spouse to marry. Your church, in many ways, helps to shape who you are and your relationship with God. Many of the things you will learn about the Bible will come through your church. This decision is not one to make flippantly or without putting much thought into it. The choice is important and the options are many. 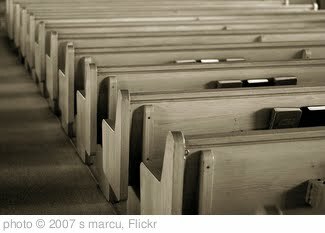 Some recent statistics show that there are approximately 450,000 churches in the United States of America. Even in a small town one will often have six or seven choices within a few minutes of home. So where do we begin? How do I choose? God is glorified by growing churches. That growth does not just mean numerically but through people growing as evidenced in serving , or by getting involved in missions, or by giving financially (maybe for the first time), by sharing the gospel with others…and the list goes on and on. While Jesus was walking on this planet he also showed the importance of fellowship. He invested his life into the twelve disciples and when He sent them out, He sent them out in two’s. We need encouragement , support, correction, and guidance from other believers for us to grow the way God wants us to grow.